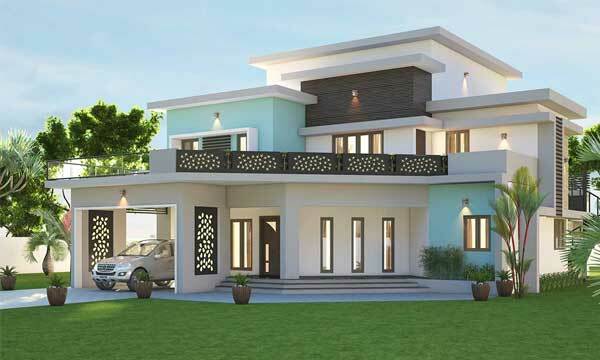 This colonial style house mixed with its contemporary design elements blends gracefully with the landscaped exterior. 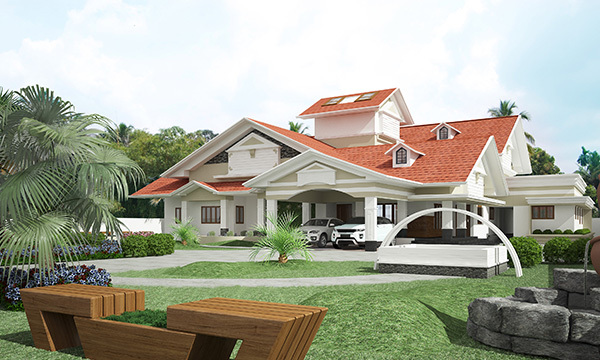 Designed by one of the leading architects in Kerala, the house marks its style with its adorned decorative pillars, pitched roof and balanced placements of windows. 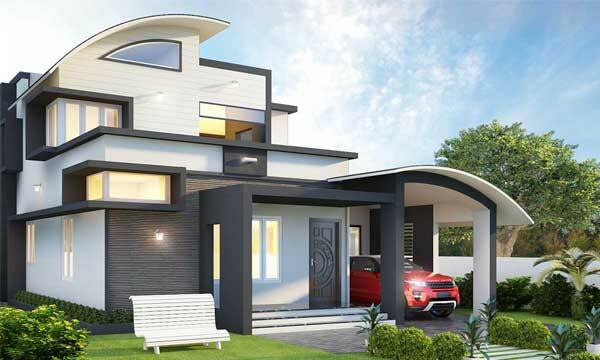 The fusion of curves along with the horizontal and pitched roofs adds to the beauty and elegance of the house. The combination of pale yellow and coffee brown colour scheme with minimal stone cladding and HPL sheets gives the house its unique touch. The comfortable and welcoming interiors with its neutral colour scheme are defined by its simplicity and subtle sophistication. The design along with showcasing excellent space planning techniques, incorporates maximum daylight and natural ventilation into the house providing high energy efficiency. 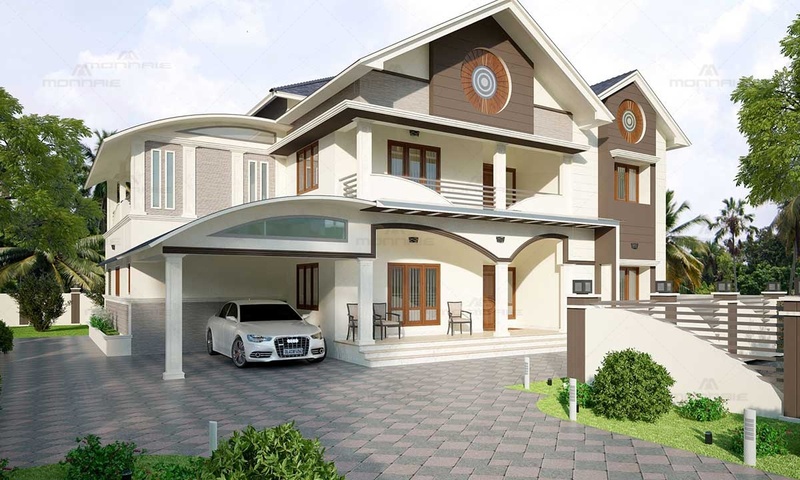 As one of the top interior designers in Palakkad, Kerala, we have deliberately used textures and clean lines to showcase the importance of space rather than the things. The furniture are simple and uncluttered but at the same time makes a bold statement against its smooth floor.